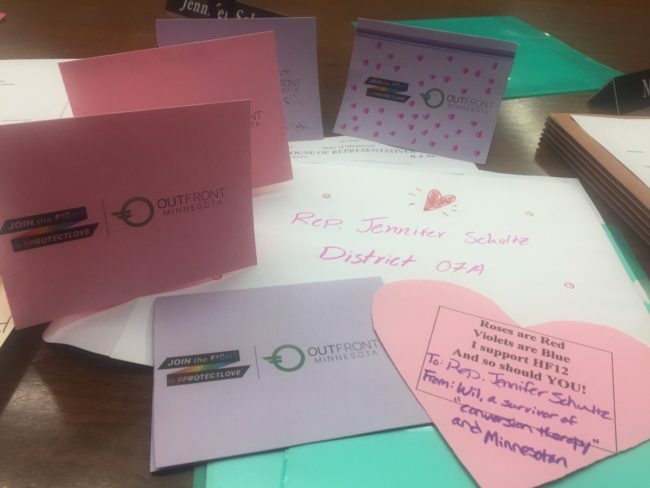 A coalition led by OutFront Minnesota gave the cards to politicians on Wednesday (February 13) to encourage support for the Mental Health Protections Act, according to Minnesota TV station KARE 11. 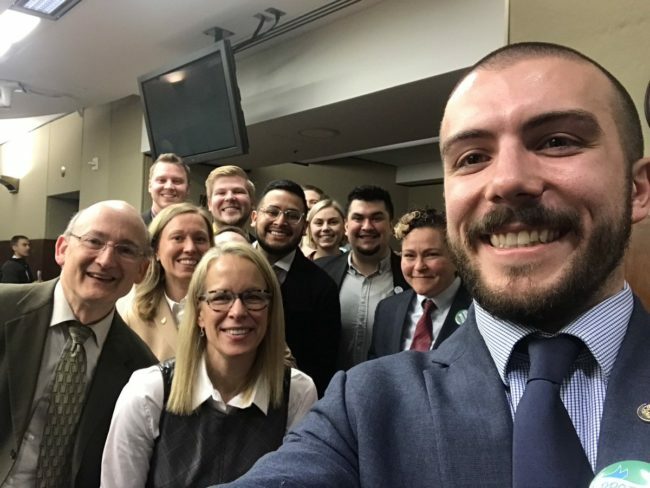 ﻿If passed, bill HF12/SF83 would make Minnesota the 16th state to ban gay ‘cure’ therapy for all people under 18. It would also stop people from being able to use the practice on vulnerable adults—a legislative step which has so far only been taken by Washington, DC. The bill is expected to pass the Democrat-controlled House, but may struggle to get through the Republican-controlled Senate. “This is about ensuring Minnesotans are protected under the law from unethical and discredited bad medicine,” said Thomas. People who have suffered gay ‘cure’ therapy have also spoken out in an effort to ban the practice. Junior Avalos told The Forum of Fargo-Moorhead that he was beaten during a two-week ‘conversion’ camp in Texas. “I was treated more like a dog than a 16-year-old,” he recalled. Speaking to KARE 11, Roger Sanchez explained how two years of gay ‘cure’ therapy had left him depressed. “I pleaded with God, and I prayed and thought I was forgotten,” he said. Fellow victim Wil Sampson-Bernstrom said that after four years of gay ‘cure’ therapy, he was left suicidal and with depression. “My parents and I were lied to. Fraud was committed against my family,” he said.